SEATTLE (Reuters) – Shares of Zynga Inc fell more than 9 percent on Tuesday, to their lowest level since going public last December, on increased concerns that the craze for games on Facebook has already passed its peak. The San Francisco-based producer of games such as “Farmville” and “Hidden Chronicles,” which are played by millions of Facebook users, is suffering as gamers switch to their mobile phones for entertainment. Zynga’s daily active users dropped 8.2 percent to 54.2 million in May, according to App Data that tracks apps on Facebook and mobile platforms. The market for games on Facebook was in an “accelerating user tailspin,” the analysts wrote. Zynga took advantage of the enthusiasm for Facebook and interactive online games with an initial public offering in December, which valued the company at $9 billion. Since then, Facebook’s messy IPO has dampened investors’ appetite for consumer Internet stocks, while Zynga has struggled to ignite further growth and insiders have sold more than $500 million in stock. 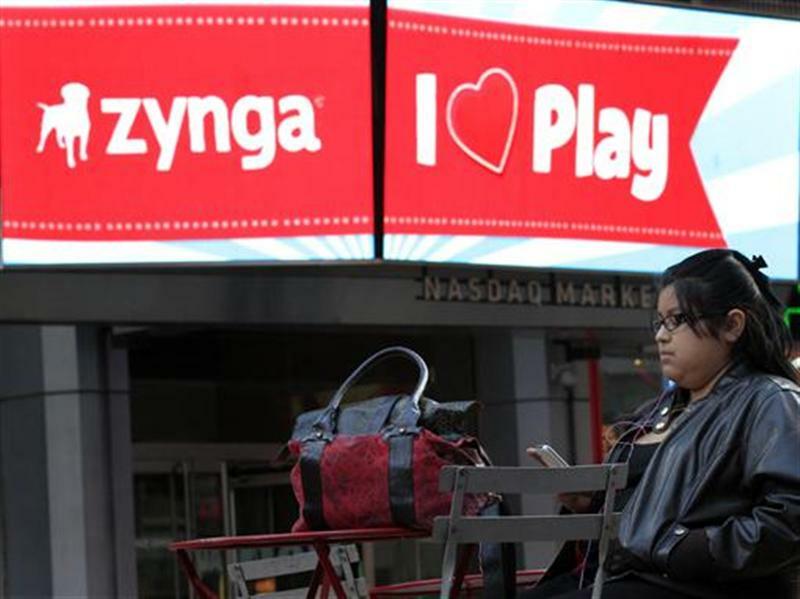 Zynga shares were down 10 percent at $4.94 in afternoon Nasdaq trading.